We all know I am a fitness fanatic. I love being active, incorporating new exercises into my routine and most of all, learning about the body and just how powerful it truly is. Well, these three ladies are my faves right now and if you aren't already following them, you 100% should start. 1. Deliciously Fit n' Healthy. Andrea Allen is for sure, #momgoals. As a fellow mommy of twins, plus a baby (you will see that trend with me...) she kills it on the regular. Her instagram account and her website have tons of amazing workouts that you can bang out anywhere anytime. I love that her littles are often found running around at her feet while she gets it done...reminds me of my own house! She offers online training too if you need the 1:1 support and is incredibly knowledgeable about what to put in your body and how to work out your body. Needless to say, I am in love. 2. Bubs2Bikinis. Anna Strode is an Australian mommy goddess of light and positivity. Also a mommy of twins plus a baby (told you there would be a trend...) she inspires all mommies that no matter what, YOU can/should put YOUR health/happiness FIRST. With quick at home workouts that will leave you sweaty and rejuvenated in 30 minutes or less she never ceases to amaze me with her can-do approach to handling the life of three little ones. She is a bright ray of aerobic sunshine and I again...am in love. 3. Fit Designs by Annie. Annie Miller is incredibly intelligent and knows her SH&%. She is the strength yin to my cardio yang. She does a killer job calling out the wrongs floating around the fitness industry and teaching all the rights. She too offers online training and sets out to make women strong through setting realistic goals and offering information that will educate you all the while blowing your mind. I've said it before and I'll say it again...I am in love. 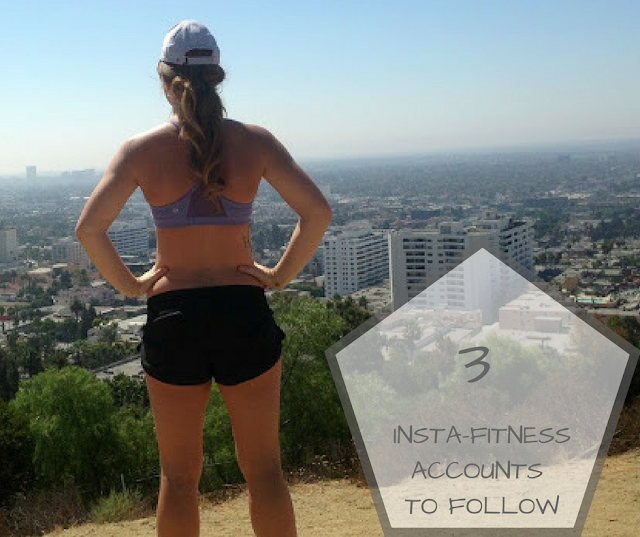 If you are looking for a little fitness insta-ration (yes, I combined instagram and inspiration...I am a regular wordsmith) then make sure you check these three powerhouse Thriving Wives out; they are amazing!